Everett, WA – February 16, 2017 – TERRA Staffing Group, a leading staffing and employment agency headquartered in Everett, WA, announced today they have won Inavero’s Best of Staffing® Client and Talent Awards for providing superior service to their clients and job seekers. Presented in partnership with CareerBuilder, Inavero’s Best of Staffing® winners have proven to be industry leaders in service quality, based completely on the ratings given to them by their clients and the permanent and temporary employees they’ve helped find jobs. 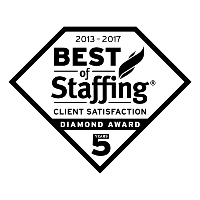 TERRA has, for the second consecutive year, won Inavero’s Best of Staffing® Client Diamond Award, after winning the Best of Staffing® Client Award at least five years in a row. Focused on helping connect people with the right job opportunities in the Seattle/Puget Sound, Portland, OR and Phoenix-Metro areas, TERRA received satisfaction scores of 9 or 10, out of 10, from 81.3% of their clients and 74.4% of their talent, significantly higher than the industry’s average. On average, clients of winning agencies are 2.5 times more likely to be completely satisfied and talent of winning agencies are 3.6 times more likely to be completely satisfied with the services provided compared to those working with non-winning agencies. 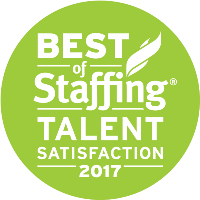 Less than two percent of all staffing agencies in the U.S. and Canada earned the Best of Staffing® Award for service excellence. “We are honored by this award and grateful for the recognition. Winning this award takes consistent, day-in-day-out commitment from our staff to do the right thing for our clients, job seekers and field employees. This award is really a validation of our company values and how they get lived out across our company every day.” TERRA’s CEO, Greg Lambert, said. TERRA Staffing Group provides a full range of staffing solutions (contract/temporary, project staffing, contract-to-hire, direct hire) primarily in light industrial, office/administrative support, management, engineering and technical staffing. 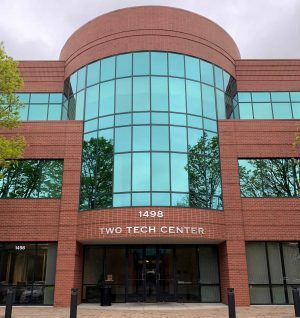 Founded in 1983, the company is a Seattle area success story, growing from one office to over 10 in three states. 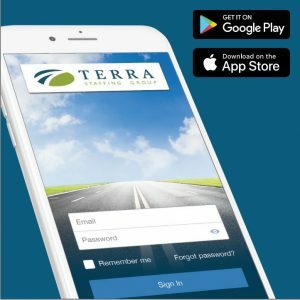 TERRA occupies a unique position in the industry by being large enough to offer trusted expertise to clients around regulatory compliance, risk management, and proactive staffing strategy, while retaining a focus on the local customer and level of care not typically found in larger, global firms. The people’s were great.I hope that we can go far.